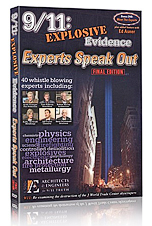 Video material make up a significant part of the many conspiracy theories about the terror attack on September 11, 2001. 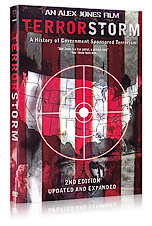 Some producers believe that it was al Qaeda who planned and carried out the terror attack, and that at least parts of the U.S. government knew about the plot, but did nothing to prevent it. Others believe that it was not al Qaeda, but solely the government, working together with the military, the financial world, the Jews, the media, and leading politicians, making it look as if the terror attack was carried out by 19 terrorists from al Qaeda. Some even believe that it was really space aliens who did it. 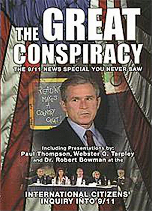 Despite the theories are all over the place, conspiracy theorists often refer to each other, and use the same video clips and quotes. 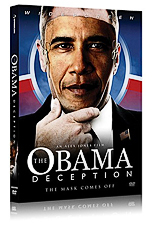 It is not productive to present some of the anonymously produced videos found on the Internet. Instead, some of the trendsetting videos and a short bio of the producers are listed here. 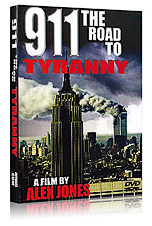 Avery has produced what is arguably the most downloaded movie about the terror attack on September 11, 2001. 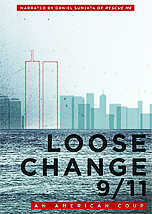 His movie, Loose Change, was intended as fiction, but Avery changed it to be based on conspiracy theories. 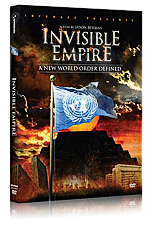 The movie has undergone several changes, where very controversial claims have been removed. Avery himself has changed his mind about who did it, from the U.S. government to a secret power elite acting above the government. Bermas has worked as a replacement host on the Alex Jones show, the most popular radio program in the conspiracy theory environment. 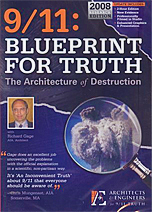 Gage is an architect by profession and founder of Architects & Engineers for 9/11 Truth, an organization dedicated to collecting signatures from architects, engineers and others, to put pressure on the U.S. authorities to instigate a new investigation of the events on September 11, 2001. 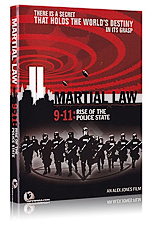 The organization also produces material which is claimed to prove a government-level conspiracy. 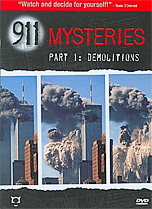 Hufschmid wrote one of the earliest and most influential books, which rejected the official account that it was al Qaeda which planned and carried out the terror attack. 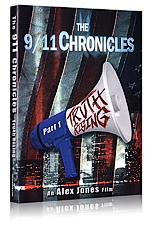 Despite Hufschmid’s rabidly racist and antisemitic views, the book, Painful Questions, and the movie based on the book, are some of the most quoted sources in the Truth Movement, also in the Danish part of the movement. 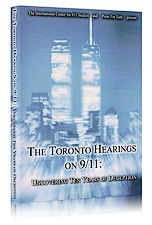 The center strive to uncover the events on September 11, 2001, with the goal to prove the official investigations false. There are no names on the website, so the identity of the people responsible for the content remains a secret. Jones is an American talkshow host, actor, and movie creator. His show, The Alex Jones Show, which often lasts for hours, has been broadcast daily, to millions of viewers via the Internet and radio stations. 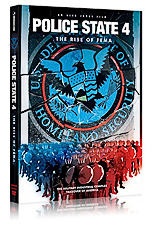 His production is comprised primarily of movies about a wide range of conspiracy theories, and the idea that the American society and the world as such, are being converted into a police state, oppressing civil rights, and the access to firearms, from hand guns to assault rifles. His business sells videos, apparel, books, and survival gear. Alex Jones has undoubtedly the biggest audience among conspiracy theorists, both within the U.S., and globally. He can thus be described as the most influential person in the Truth Movement. 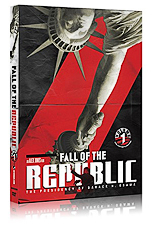 Nowosielski is a movie producer, and has made a film based on the book, The Terror Timeline, by the author, Paul Thompson. 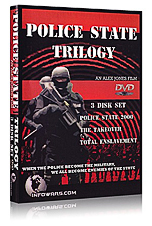 Shafquat’s movie is one of the most influential in the Truth Movement. 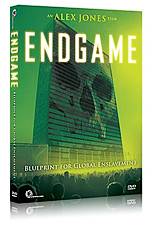 Her movie includes claims by Eric Hufschmid and is the reason the Danish chemistry professor emeritus, Niels Harrit, became convinced that World Trade Center 7 was destroyed by controlled demolition. 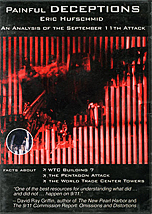 Shafquat was later sued for unauthorized use of material showing the catastrophe in New York. 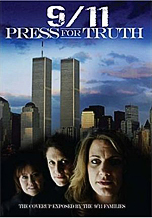 Zwicker is a journalist, political activist, and known for his movies about conspiracy theories about the terror attack on September 11, 2001.